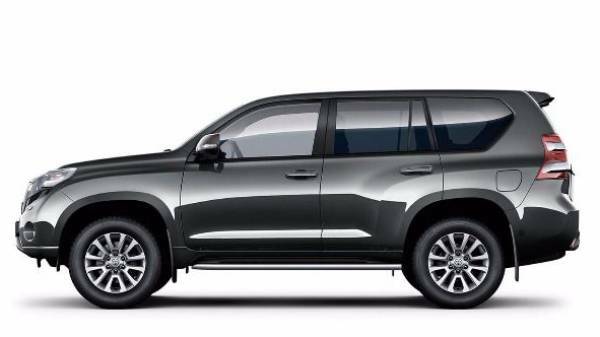 The Land Cruiser demonstrates a classically sleek and smooth design across a wide and high structure, uncomplicated whilst also purposeful and strong. 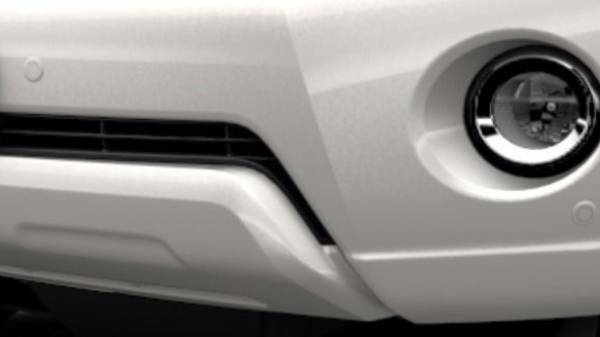 LED front headlamps featuring daytime running lights, an imposing front grille and fog lamps give the Land Cruiser it’s eye-catching SUV character. In contrast, the LED rear combination lights and the structured yet dynamic rear styling has given it a brand new look. The best looking Land Cruiser yet! 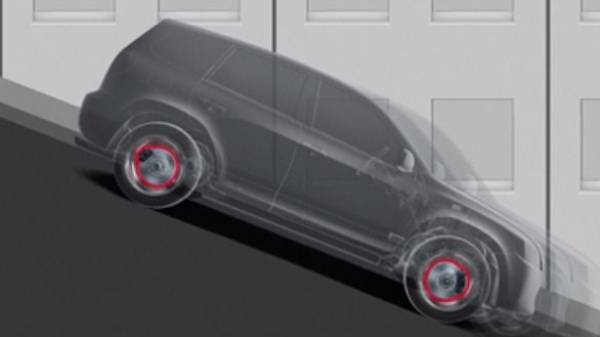 17” Alloy (6-spoke), 17” Canyon winter alloy wheels and 18” Pinnacle black alloy wheels are just some of wheels which come as standard dependent on grade. 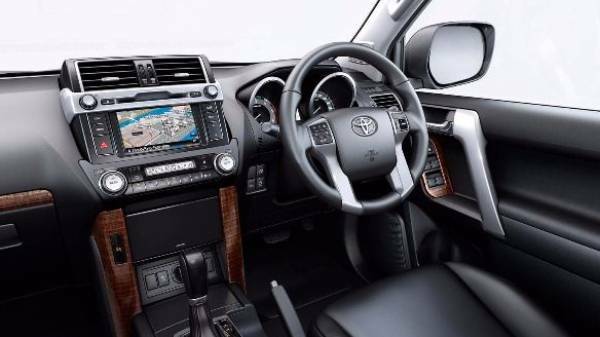 The interior of the Land Cruiser is classic and refined, featuring only the finest of soft touch materials. 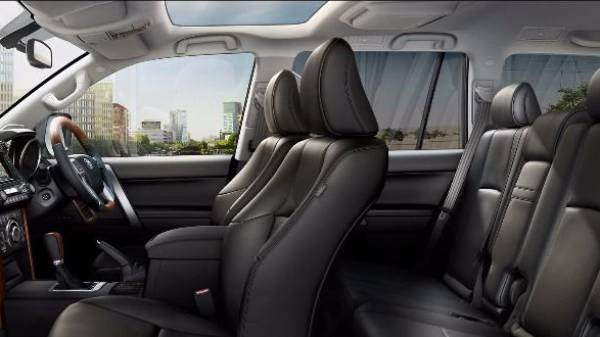 A blend of natural materials and triple-zone air-conditioning with a whole array of storage compartments make the interior both practical and comfortable. Using premium upholstery and subtle illumination, any journey is made a real pleasure. You’ll find comfortable seating throughout the cabin, designed to maintain comfort even on the longest journeys by providing plenty of head, shoulder and legroom, promoting healthy posture for all! 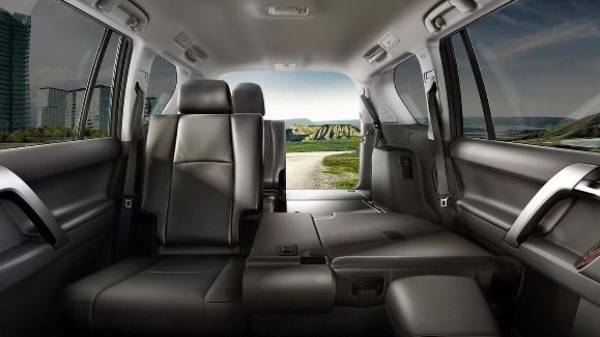 The interior is one of the most flexible in the industry whether you’re looking to accommodate passengers or luggage! Easily transformable from a 7-seater to a spacious loading space. The second row seats have a 40:20:40 split and the electronically folding third row splits 50:50. 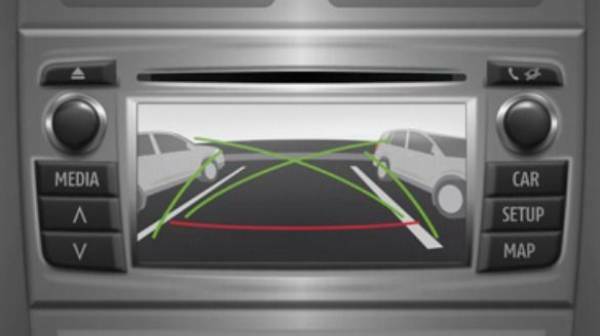 The Toyota land Cruiser features 4WD and a multi-terrain management system which sets you up to take on every landscape.